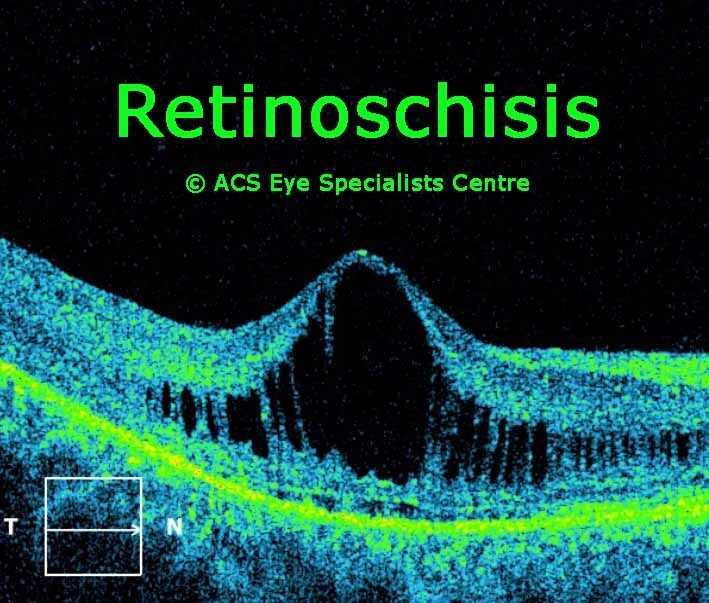 Cross-sectional images obtained by the OCT scan are very useful in detection and identification of certain retinal abnormalities and diseases. 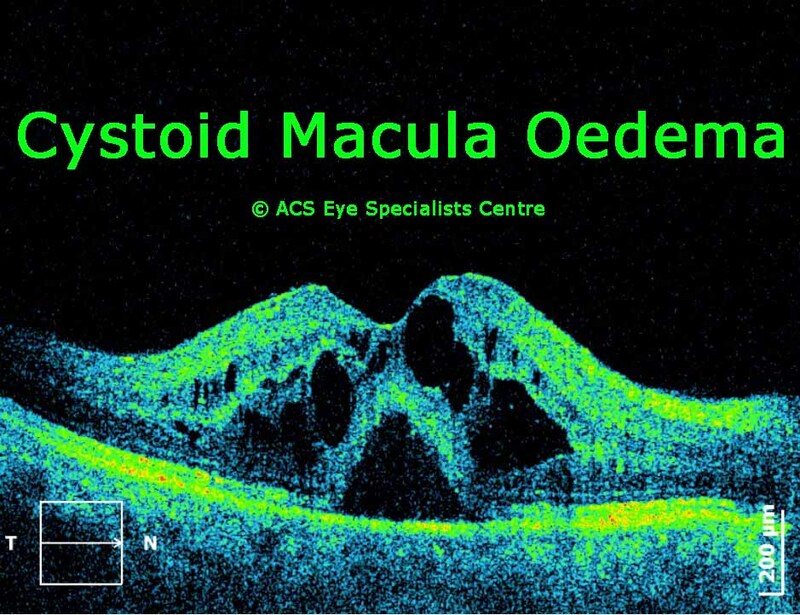 What does the OCT scan detect in the eye? 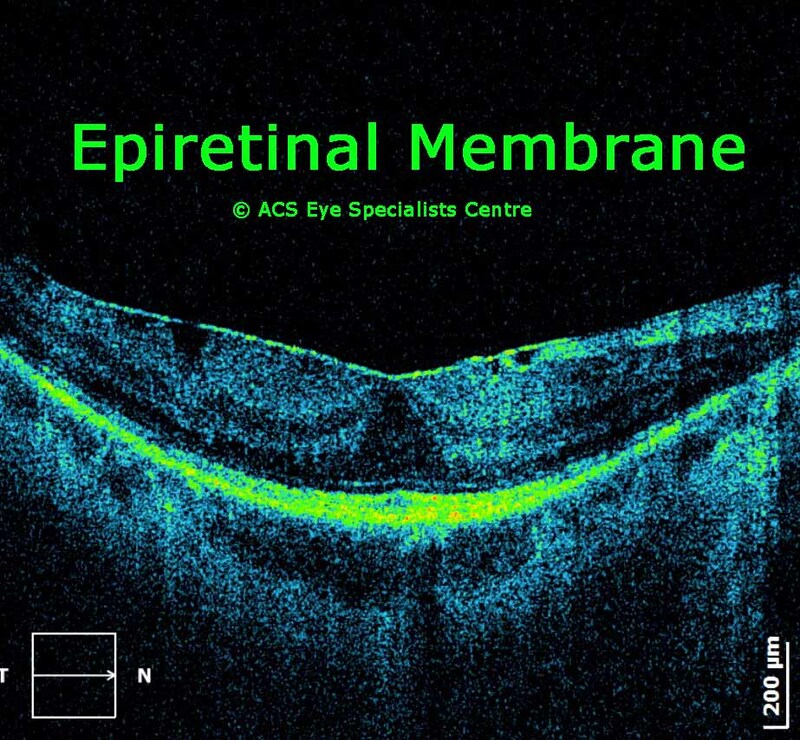 The OCT scan can detect changes within the retina - e.g. 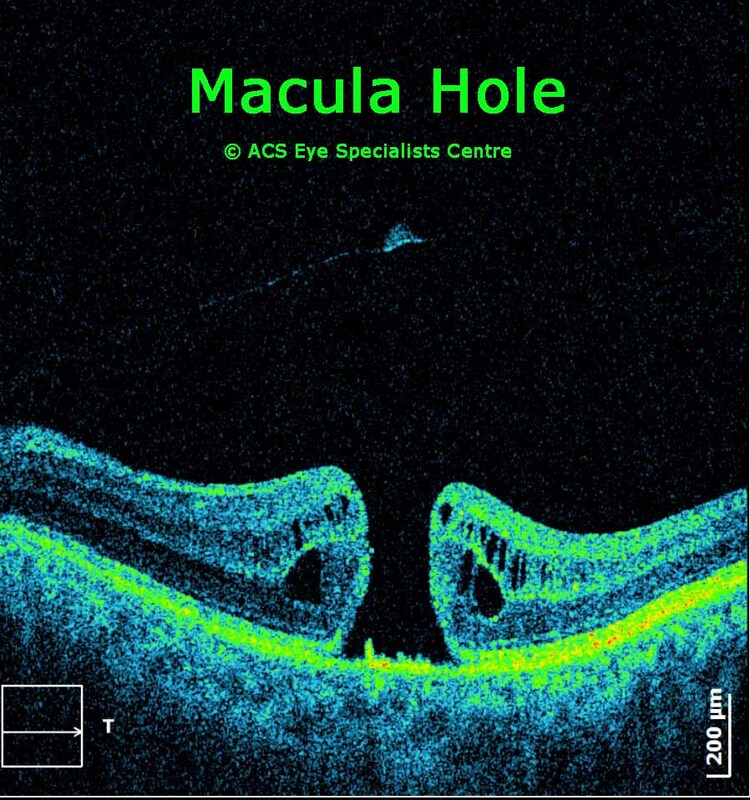 holes, fine membranes, swelling, the presence of fluid, retinal detachment and differentiate between dry and wet ARMD. It is also used to monitor a patient's progress pre and post surgery. OCT scan also is helpful in determining changes to the optic nerve which is the “cable” that sends signals from our retina to the brain where images are interpreted. The fibres of the optic nerve are affected in glaucoma and OCT helps to detect and monitor the changes. There will be a light for you to look at in the OCT machine, while the operator aligns and focuses on the retina. You just need to hold your eye still and not blink for a few seconds while the OCT is scanning the retina. If you move your eye or blink during those few seconds, you may need to repeat the scan if the images are not clear due to your movement. Some patients may need to be dilated (i.e. pupil is made larger with eyedrops) for the test to facilitate the examination. It normally takes 30 minutes or more to dilate the pupil sufficiently. The effect of the dilation may last from 4 to 24 hours. While the eyes are dilated the patient may have blur vision and sensitivity to light (wearing sunglasses may help). It is best to have somebody on standby to drive the patient home after dilating the eyes. 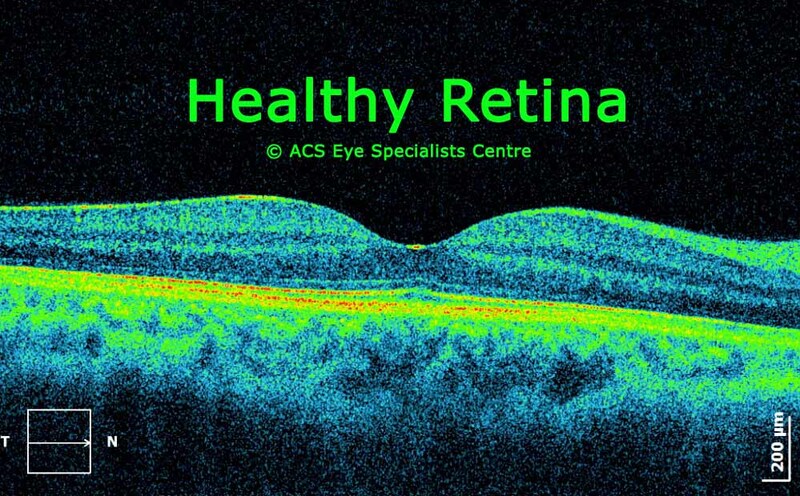 OCT imaging may not be able to give clear images in all cases especially if there is any condition that interferes with light passing through the eye e.g. cataracts and hemorrhages in the eye. 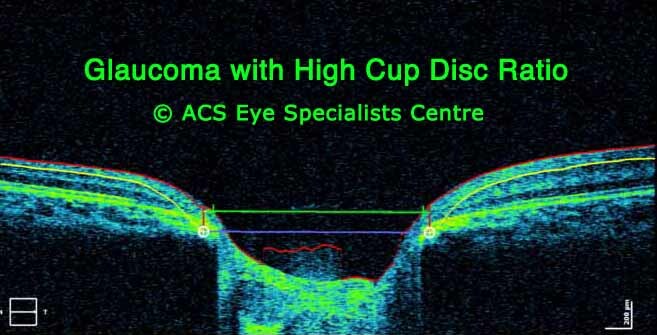 For patients who have previously done a visual field test (part of glaucoma testing) will find the OCT scan less tedious.